Dinosaurs have made numerous appearances in popular culture, particularly the movies: Gertie the Dinosaur in 1912; Godzilla in the 1950s and Jurassic Park in the 1990s. There is even a dinosaur in the Dilbert comic strip. Where do they really come from? Some of them come from Utah. As a matter of fact, there is an extensive fossil history right here in Utah that is a focus of research for scientists from all over the world. According to the Utah Geological Survey, dinosaurs roamed much of the land that would become Utah in the Late Jurassic period starting around 200 million years ago. Dinosaurs continued to roam central Utah well into the Cretaceous period as late as 73 million years ago. That means that dinosaurs owned Utah for at least 130 million years, pretty amazing considering that modern humans have only been around for 200,000 years or so. 1. Apatosaurus. This is the big one on so many levels. Discovered in Northeastern Utah, near Jensen and first characterized by Othniel Charles Marsh. “The discovery of the Apatosaurus put Utah on the map. It led to Utah's being the center of dinosaurs both in terms of science and tourism," according to Brooks B. Britt, Associate Professor and Paleontologist at Brigham Young University. 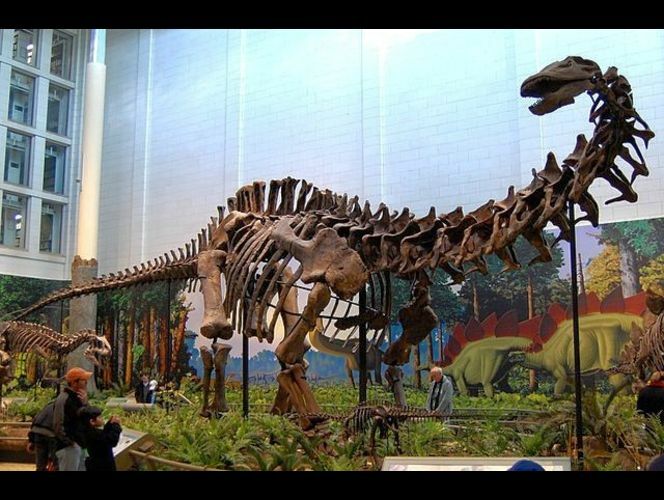 The Apatosaurus is more popularly known as the Brontosaurus that lived from 154 to 150 million years ago during the Jurassic period. The Apatosaurus is one of the largest creatures to have ever walked the earth, weighing in at 23 metric tons and grew to a length of 75 feet. 2. Allosaurus. Living between 155 and 1505 million years ago, also during the Jurassic period, allosaurus remains were first discovered and described in 1877 by Marsh. Parts of at least 42 individuals were found at the Cleveland-Lloyd Quarry where more than 12,000 bones have been discovered. The collection at the museum by the same name as the quarry has been replicated and shipped to other museums all over the world. The allosaurus has also found a place in popular culture alongside another predacious dinosaur, and is similar to the Tyranosaurus Rex. 3. Utahraptor. Discovered in 1975 by Jim Jensen at the Dalton Wells Quarry in Moab, in rock strata dating to roughly 125 million years ago in the early Cretaceous period. This particular species is extremely rare, with only a few known examples, all of them from western North America. The Utahraptor is a predator that walks on two legs and scientists have found strong evidence that it possessed feathers. 4. Abydosaurus. Discovered in 2010 near the old visitor center of the Dinosaur National Monument. Materials surrounding the fossils indicated an age of approximately 104 million years. The bones that have been discovered so far include 4 partial skulls and two 2 complete skulls. Such complete examples of skulls are extraordinarily rare. Here is an interesting paper on the subject, co-authored by Professor Britt. 5. 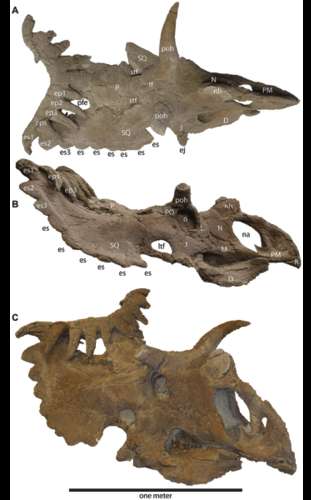 Kosmoceratops, is a horned dinosaur, discovered in 2010, in Utah. Remains were found in the Grand Staircase-Escalante Monument. It has one of the most ornate skulls with 15 horns or horn-like structures, more than any other ceratops-like dinosaur. It shares many physical attributes to and is considered to be closely related to the more well known triceratops. Though there are many digs around the world and in the United States, there are three well known sites here in Utah: The Dinosaur Quarry at Dinosaur National Monument, Cleveland Lake Quarry, and the Grand Staircase-Escalante National Monument. All of them are within a day’s drive from Salt Lake City and two of them are within 4 hours drive. 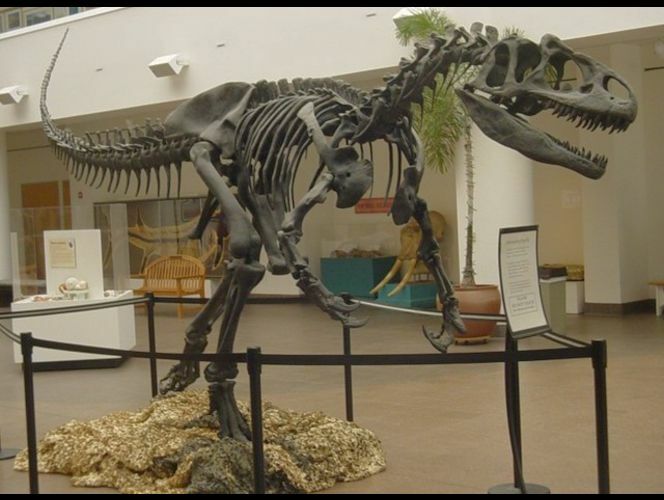 Before driving out to a quarry, consider that all of the dinosaurs discovered in Utah can be seen at the Natural History Museum of Utah, right here in Salt Lake City.